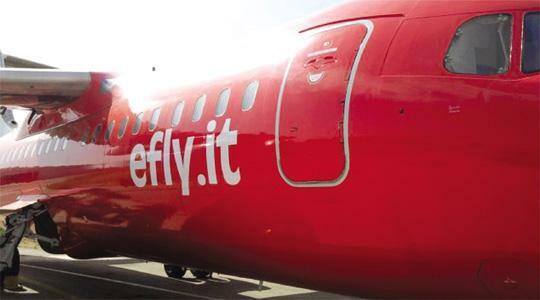 Efly, the low cost airline launched in Malta recently, said this evening it has ceased services to Catania because of an uneven playing field with its competitor, but would continue to focus on its original strategy - wet leasing, charter and ad hoc flights. It said in a statement that its competitor used predatory tactics to force it out of the route. "This has been done by dumping prices to below cost level. Matters got out of hand when Malta International Airport made it next to impossible for our service vehicles to access the aircraft. There were also serious delays in the issue of entry permits to our technical staff. This has led the company to reconsider its own presence in the scheduled market." It said it would review its position only if a serious level playing field was established in the local market, whereby access was guaranteed to each and every player. The company thanked those who supported the new venture and apologised with clients’ whose flights were cancelled. Full reimbursement of their funds was being processed, it said.